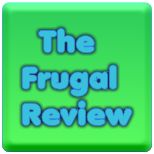 FRUGAL REVIEW: All You Magazine - $1 per issue!!! I have found a deal going on through Amazon right now. If you order a 2-year subscription of All You magazine at a rate of $34 for 2-years, they will give you a $10 promotion code to use across Amazon.com . This brings the price down to $24 for 24 issues. That's $1 per issue!!! Click here to order All You. This deal is good until February 28th. Each issues contains high-value coupons for items you buy and tips on how to live well for less, dress for real life, your health, your family's eating challenge and recipes. It usually contains from $50-100 worth of coupons per issue.